Junior Striders have a' handicap race week' three times per year. This gives us a chance to reward those who have improved the most. We have just had our Easter Bunny handicaps with nice trophies, lots of Easter eggs and bunnies and an Easter Show ticket as prizes. At the moment we only have pictures from the 1 mile, which was won by Lachlan Cooper in 4:58 - an improvement of 16 seconds. Nine runners improved, which is pretty good going. New Striders Ciara won best dressed with an amazing Easter creation - a sort of bunny head / chic nest - see below. 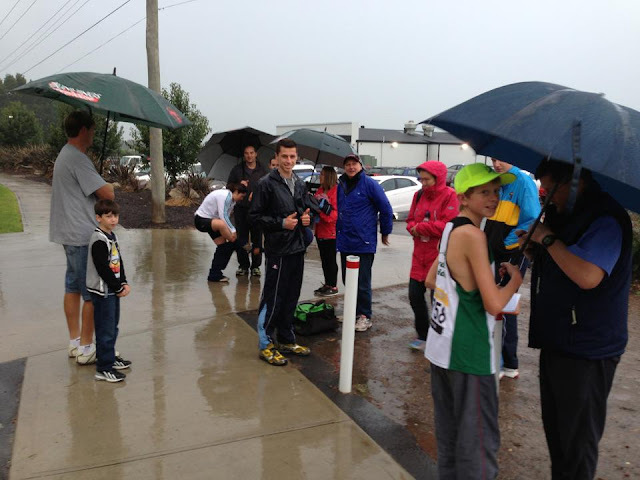 The Nepean River 6.7K handicap was run on Thursday 4th April in very wet conditions. 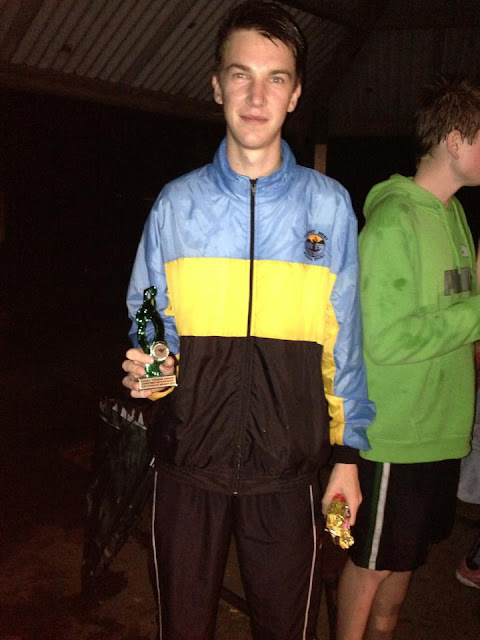 It was won by Gabe Corke, our u18s 400m runner, who improved by 33 seconds. Daniel Francken, holder of the course record, ran 22 mins. 28 seconds. Alex Jagger, son of the organizer, Janet, came straight from school with no time for a warm up and cruised round in 35:08. Well done all. 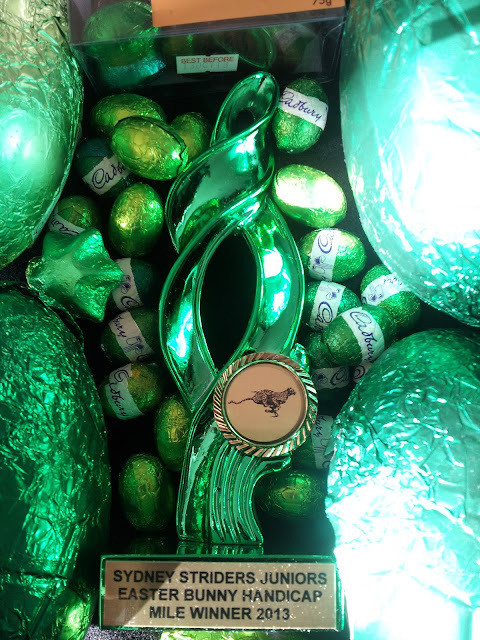 Our gorgeous trophy amidst just some of the eggs which were won by our nippy Striders. The rainy scene as runners prepared for a warm up before the Nepean River handicap.